This hypoallergenic, dust mite-resistant pillow is for allergy sufferers who don’t want to sacrifice quality or comfort. We believe it’s the best pillow on the market right now. This memory foam pillow meets the CertiPUR-US standards for content, emissions, and durability, meaning it contains no harmful VOCs or chemicals. It also comes with a 5-year limited warranty. It may have a chemical smell right out of the package. Sold in packs of 4, each standard size pillow is filled with ultra-fresh treated polyester fiber to inhibit odors and stain-causing bacteria. It has an all-natural, 100% cotton shell and is generously filled for optimal support. If you’re looking for firm support, you may need to sleep on 2 of them at the same time. 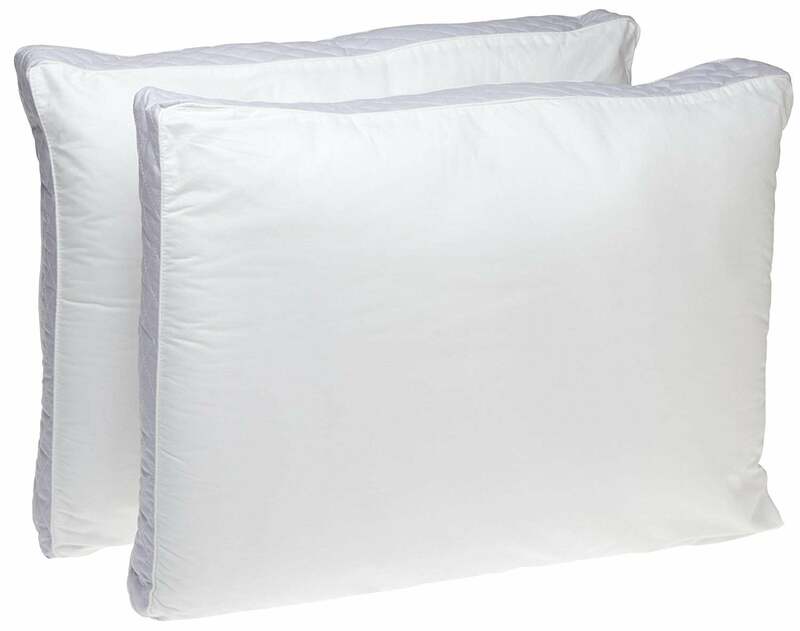 If you’re looking for an extra firm pillow, this set of 2 is your best bet. 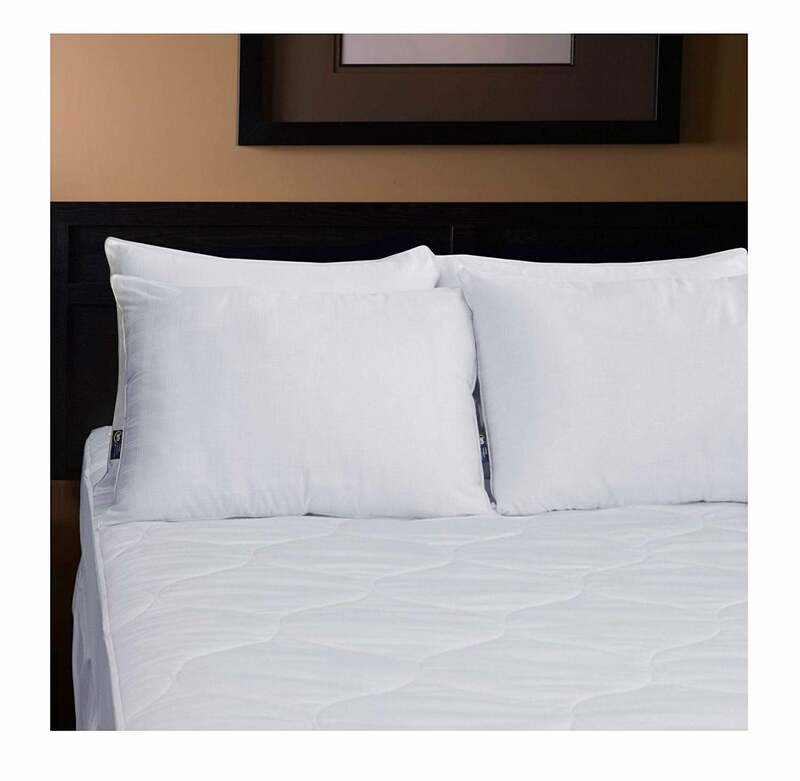 Filled with 100% Slumbersoft polyester fiberfill, the pillows have strong reinforced corded edges engineered for superior strength. This is a firm and well-constructed pillow. It can be a bit too firm for side sleepers. Though it has an affordable price tag, the Perfect Sleeper loses its comfort and quality over time. It’s extremely soft and easy to wash. It’s also great for allergy sufferers because of its hypoallergenic qualities. Over time, the pillows may flatten and lose their comfort. Visco-elastic memory foam filling in a plush design maximizes comfort for all sleepers. This is a great choice for side sleepers. The stitching on the pillowcase is high quality and the pillow itself comes with cooling features. It may have an odor when first unpackaged and it’s firmer than some customers expected. If you lay down at night and don’t have a comfortable pillow to rest your head on, you know how frustrating your sleep experience can be. At House Method, we believe everybody deserves a good night’s sleep, which starts with the pillow. We tested pillows in our Research Lab and did the research for you, so you wouldn’t have to sift through hundreds of products and pillow reviews on your own. After comparing pillows and reading trusted consumer reviews, we selected five of the best pillows on the market and found out what makes a pillow great. Pillows provide the comfort and support your head and neck need while facilitating a good night’s sleep. If you have neck, back, or shoulder pain, not having the right pillow could exacerbate your pain even more and provide an uncomfortable sleep experience. Additionally, the wrong pillow could affect your spinal alignment and nighttime posture, which can affect your wellbeing during the day. So, how do you find the best pillow for a better night’s sleep? We, at House Method, believe in getting great sleep. In this comprehensive guide, we’ll help you determine how often you should replace your pillow, we’ll recommend important factors to consider before buying a pillow, and we’ll even answer some of your most frequently asked questions. Most pillows will last anywhere from six months to three years depending on the quality and materials in addition to how well it’s cared for. Here are a few instances that indicate it’s a good time to replace your pillow. Your pillow is discolored—People lose an average of one pint of sweat per night. During this time, some of that sweat may seep into your pillow and lead to discoloration. A discolored pillow can harbor bacteria and should be replaced as soon as possible. Your pillow is uncomfortable—If your pillow has flattened and won’t fluff back up, or if you can feel lumps that won’t go away, throw the pillow out and buy a new one. You’re waking up in pain—Your spine may not be properly aligned while you sleep if you wake up with back or neck pain. Consider opting for a new pillow that provides adequate spinal support. You’re congested in the morning—If you’re congested when you wake up, you could be having an allergic reaction to dust mites living in your pillow. We recommend buying a new one if this is the case. To keep your neck and spine properly aligned throughout the night, certain sleep positions demand a sleep surface with more loft than others. Stomach sleepers—When you sleep on your stomach, you put a lot of stress and pressure on your spine. Select a soft and fairly thin pillow so that your head is not sharply elevated from the mattress. Side sleepers—In this common sleep position, there will naturally be a large gap between your head and your mattress. Look for a pillow that’s thick enough to keep your head and neck level so that your spine can remain in a neutral position. If your neck is bent due to an unsupportive pillow, you can stress your muscles, tendons, and nerves, leading to pain and discomfort. Back sleepers—Having a quality pillow is important for supporting the natural curve of your cervical spine and keeping pressure from building up in the neck, shoulders, and head. Look for a pillow that’s supportive and slightly lower than one designed for side sleepers. There are many types of fillings, some of the most popular being down, feather, memory foam, latex, and polyester. 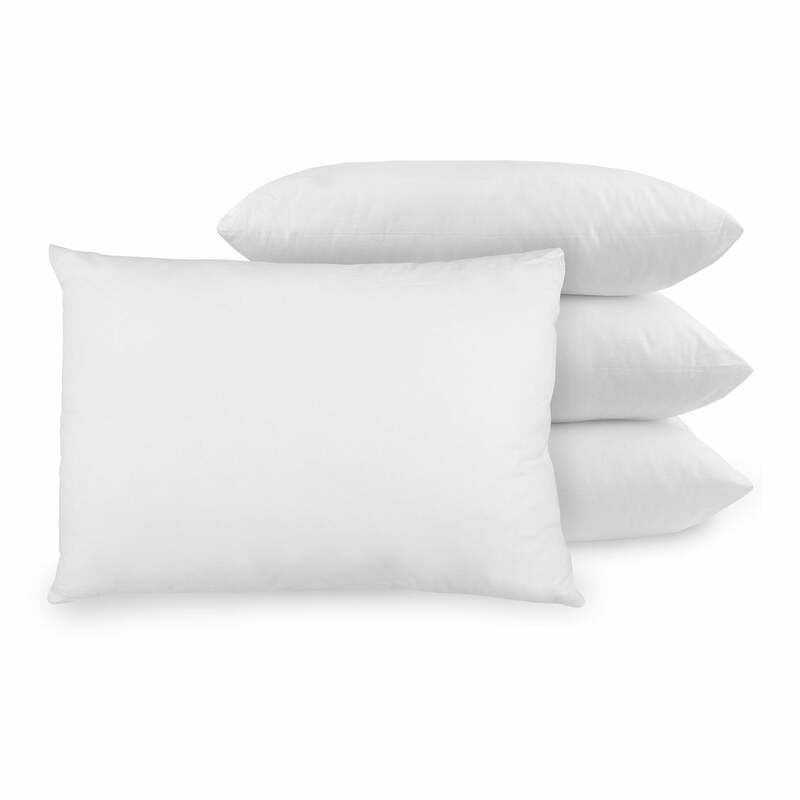 Down and feather—These lightweight pillows are extremely soft, but can lack the support provided by other fills. We recommend these for combination sleepers (these are people who switch sleeping positions throughout the night). Memory foam—Memory foam contours to your body and are beneficial for people who suffer from neck and back pain. Most memory foam pillows are hypoallergenic and firm. Some people have found that memory foam emits a slight chemical odor when it’s first removed from its packaging. Latex—If you suffer from asthma or allergies, go for a latex pillow. Latex resists dust and mold and makes up some of the firmest pillows available. Though they can be heavy and expensive, they’re highly durable. Polyester—Polyester fill is very cheap and super easy to clean. Hollowfibre is one form of polyester that is robust, yet lightweight. The denser the hollowfibre filling, the firmer the pillow. Some hollowfibre pillows have hypoallergenic qualities. Buckwheat hulls—Pillows with this type of filling can easily be adjusted for shape and thickness. These can be very firm and conform to the shape of your neck and head. 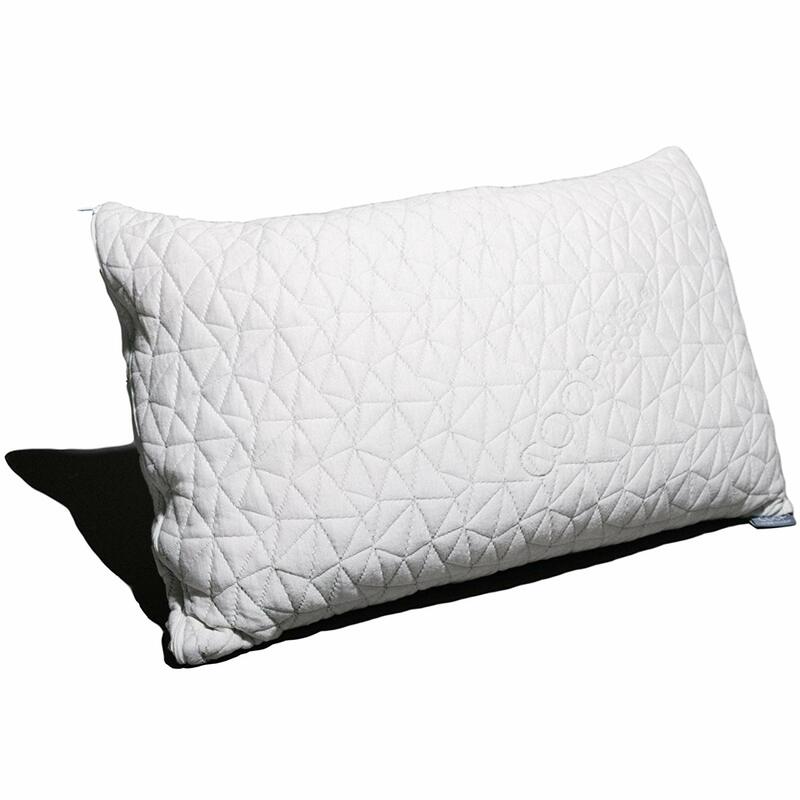 Cotton—Cotton-filled pillows are another popular pick among allergy sufferers given their hypoallergenic properties. Most pillows are sold in one of these three sizes: Standard (20 by 26 inches), Queen (20 by 30 inches), and King (20 by 36 inches). Try to match the size of your pillow to the size of your bed for maximum comfort and support. If you want the shell of your pillow to be soft, look for one with a high thread count. In general, pillows with a 300 thread count or higher will provide more loftiness and comfort. You can also consider the thread count of your pillowcase. How much should you pay for a pillow? Pillows range in price based on the filling, quality, and size. Some of the most expensive memory foam or down pillows will cost around $60 while others with a cheaper fill or lower thread count may cost less. The most affordable pillow we reviewed was the Serta Perfect Sleeper. Costing less than $20, this pillow is extremely soft and has hypoallergenic qualities that are ideal for those suffering from allergies. How can you ensure your pillow lasts as long as possible? Unless you have a memory foam or latex pillow, consider washing your pillow at least two times a year. We also recommend using a pillowcase and pillow protector and washing these weekly or biweekly. By following these care recommendations, your pillow will last anywhere from six months to three years. You can also filter pillow reviews to customers who mention durability or longevity. For instance, we learned from verified customers that the Serta Perfect Sleeper loses loftiness quicker than others we reviewed. Is it better to sleep without pillows? While sleeping without pillows can help you rest in a natural position, it may cause discomfort in your head, neck, and shoulders if your mattress is too firm or too soft. Find a pillow that offers comfortable support or choose one based on your sleeping position. Stomach sleepers should opt for a thin, flat pillow, side sleepers should consider a medium-firm pillow, and back sleepers should go for a supportive pillow that rests slightly lower than a side sleeper’s pillow. 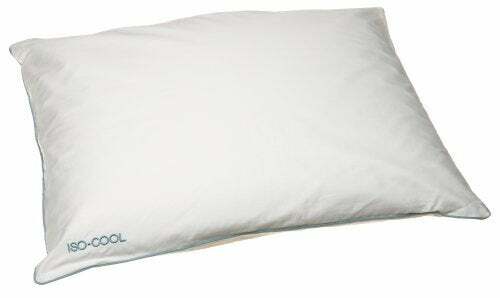 We recommend the Coop Home Goods Memory Foam Pillow. If you’re a back or side sleeper, you’ll benefit from the large, uniform pieces of foam pillow that comprise the filling. This pillow can also be easily adjusted for maximum comfort. A body pillow is an oversized pillow that can provide an extra level of comfort and support while sleeping, improve spinal alignment, and lessen tossing and turning throughout the night. Here are our top picks. At House Method, our team is all about getting a good night’s sleep, which is why we tested and reviewed multiple comforters to provide you with information that can guide your purchase.